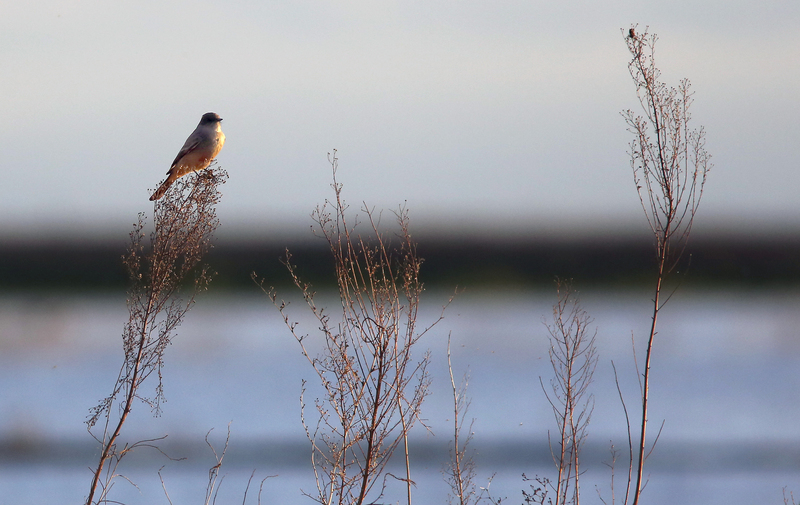 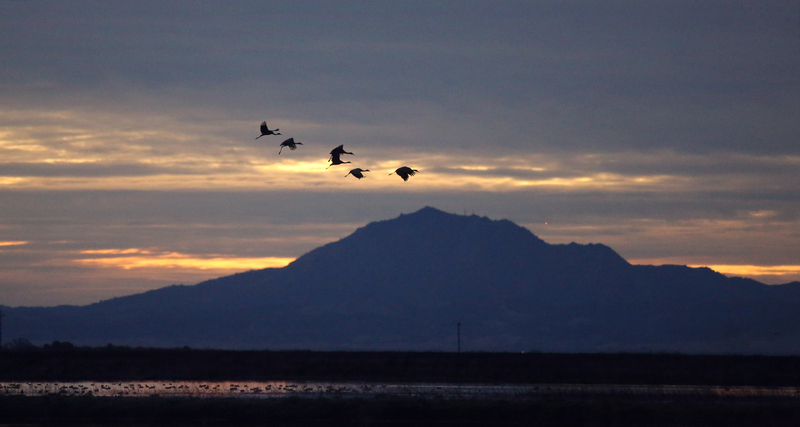 December has arrived bring wind and clouds across the wetlands. 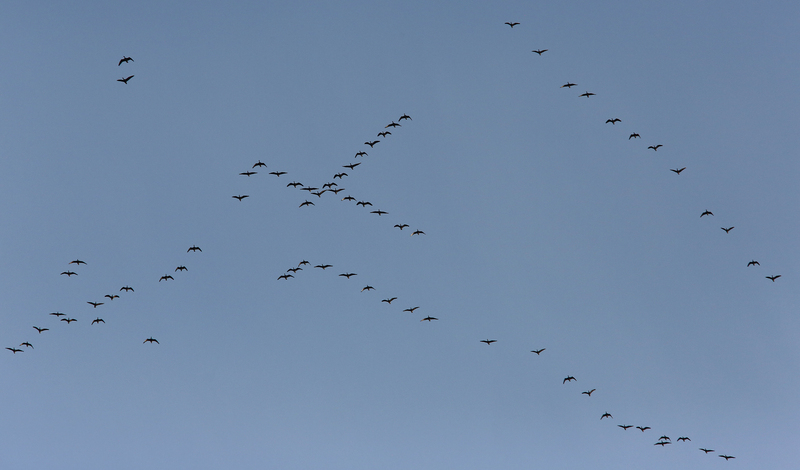 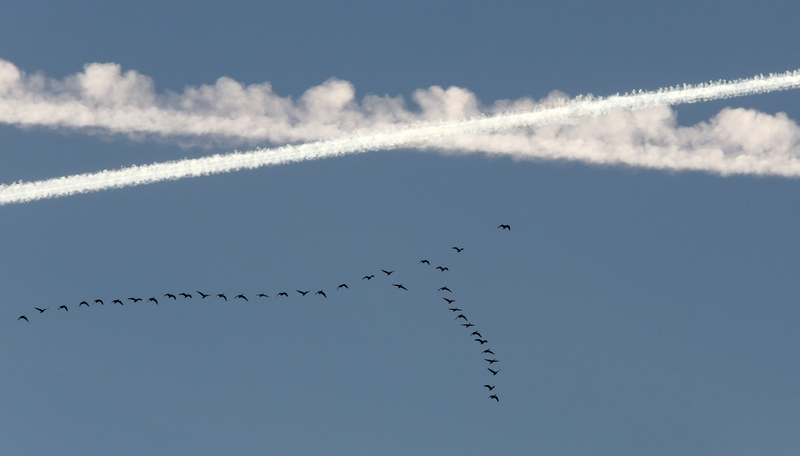 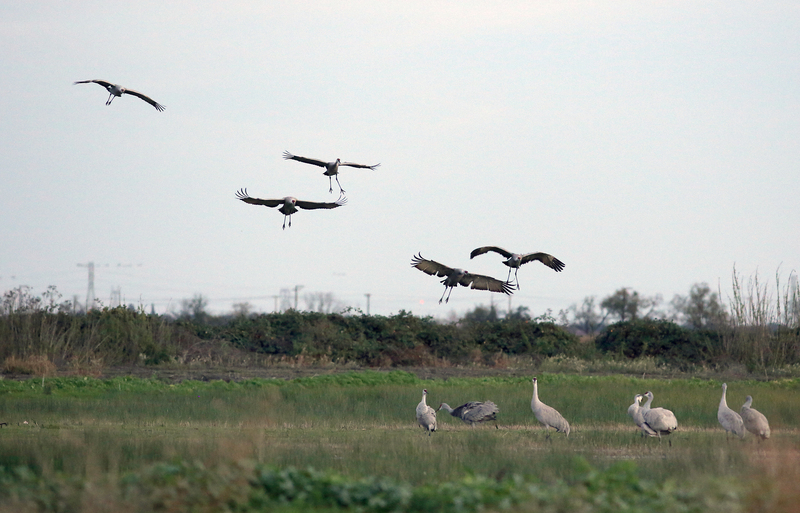 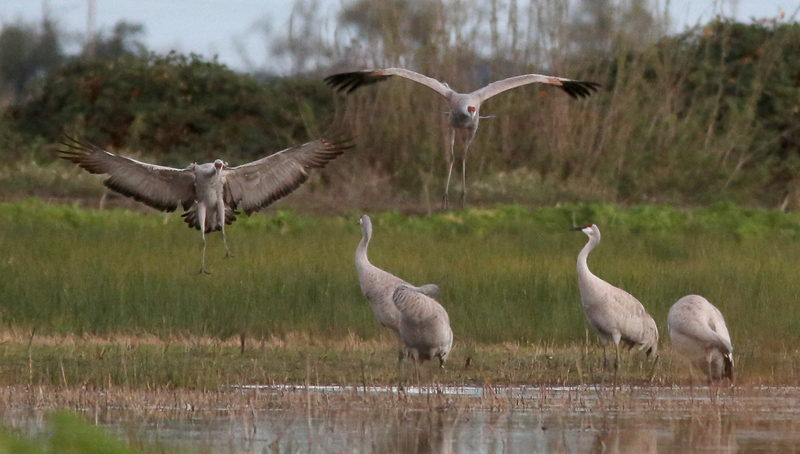 Winter is near and soon the cranes will abandon this refuge to continue their migration journey. 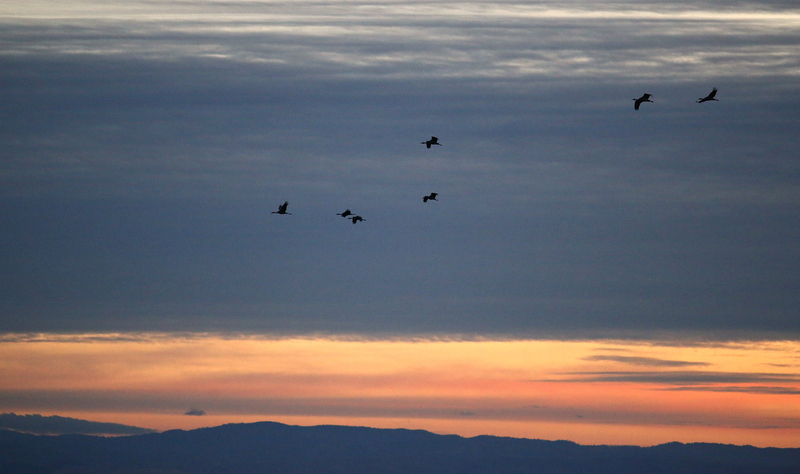 With a break between storm system I headed to Isenberg for one more sunset. 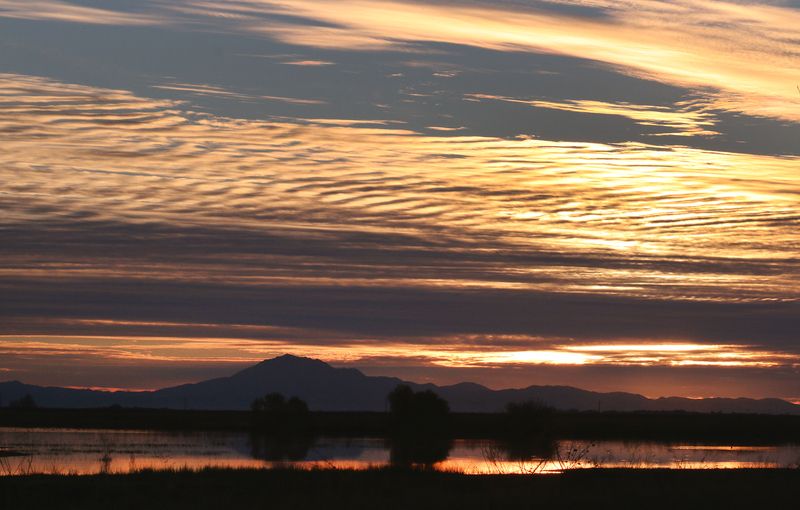 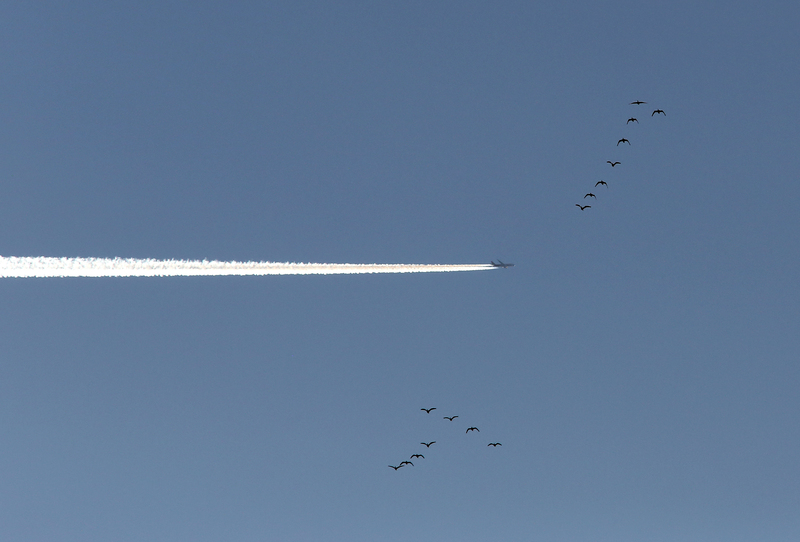 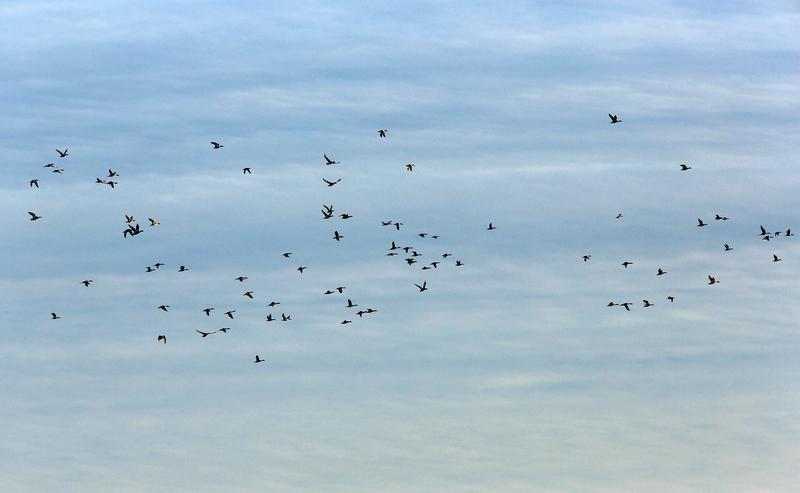 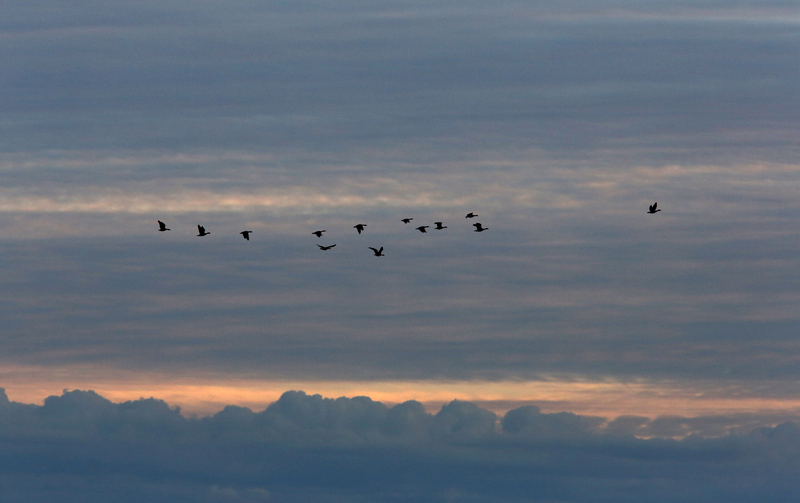 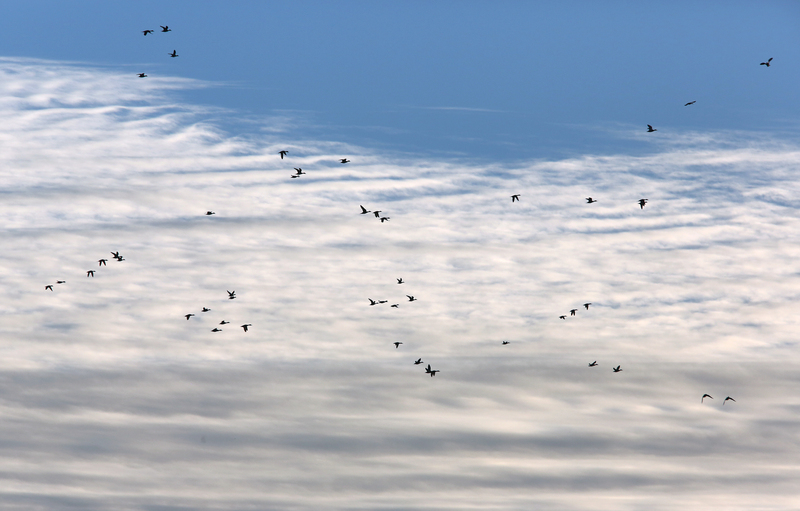 A band of clouds hung along the horizon as geese and other waterfowl made their early arrival to the wetlands. 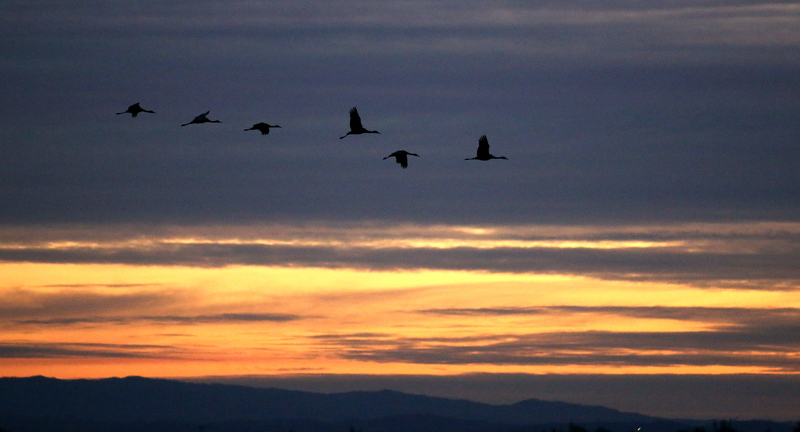 A few cranes trumpeted in the distance but waited for the sun to slip behind the clouds. 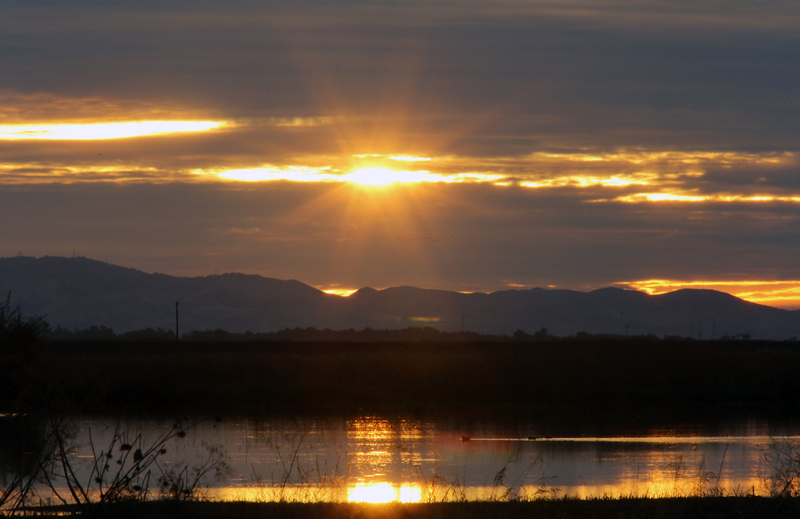 Sunlight spilled through cracks in the clouds splashing the wetlands in sunset hues. 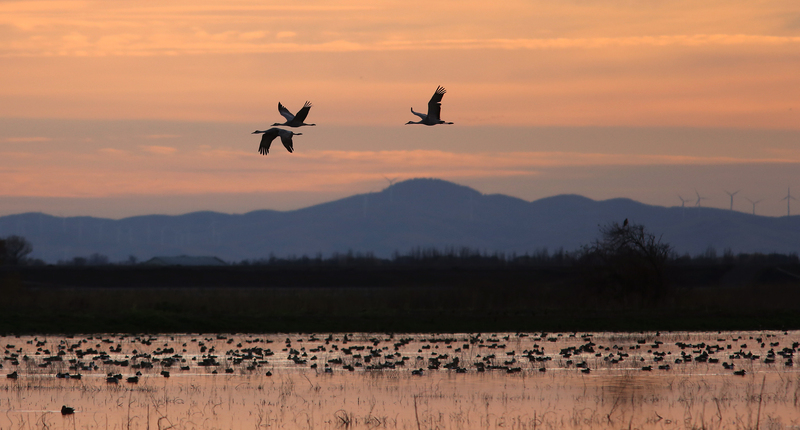 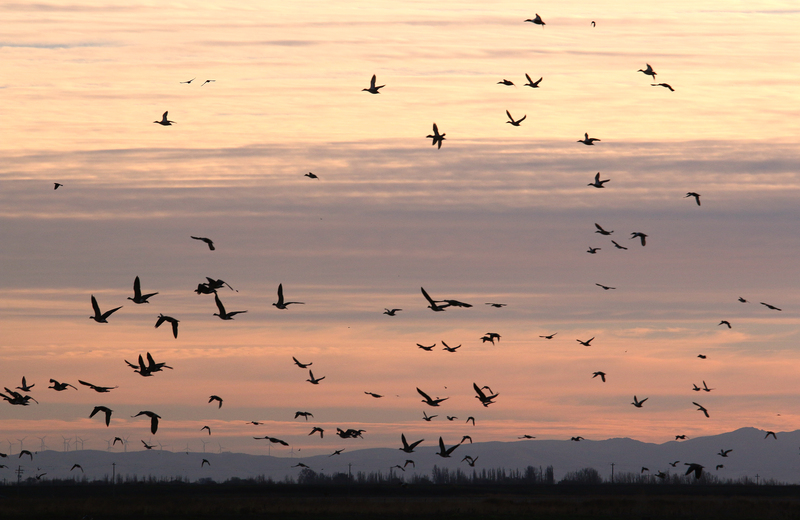 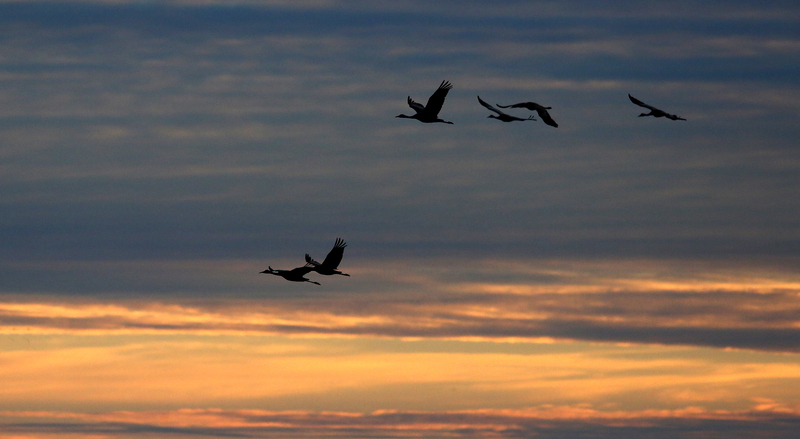 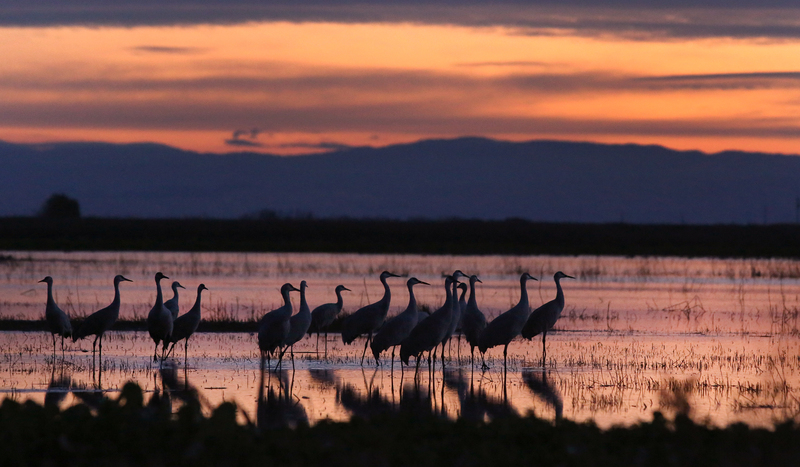 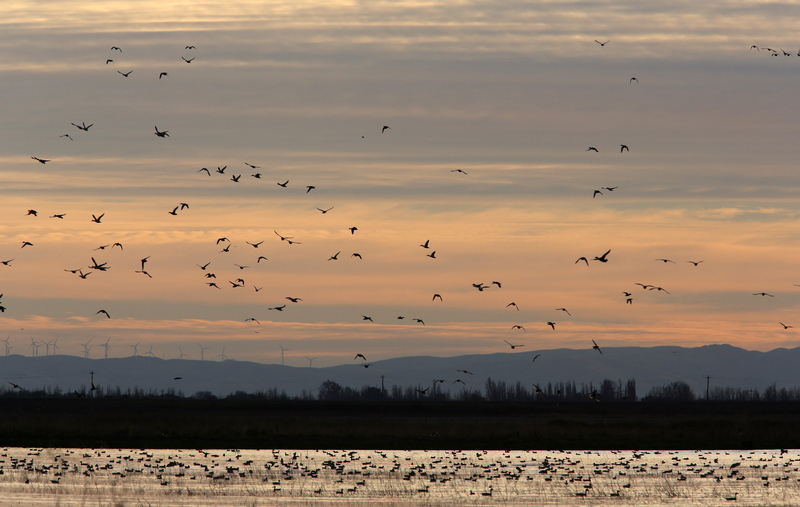 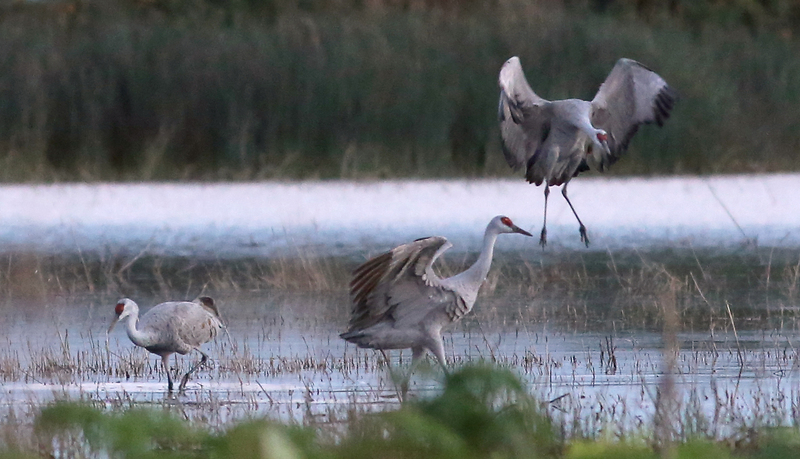 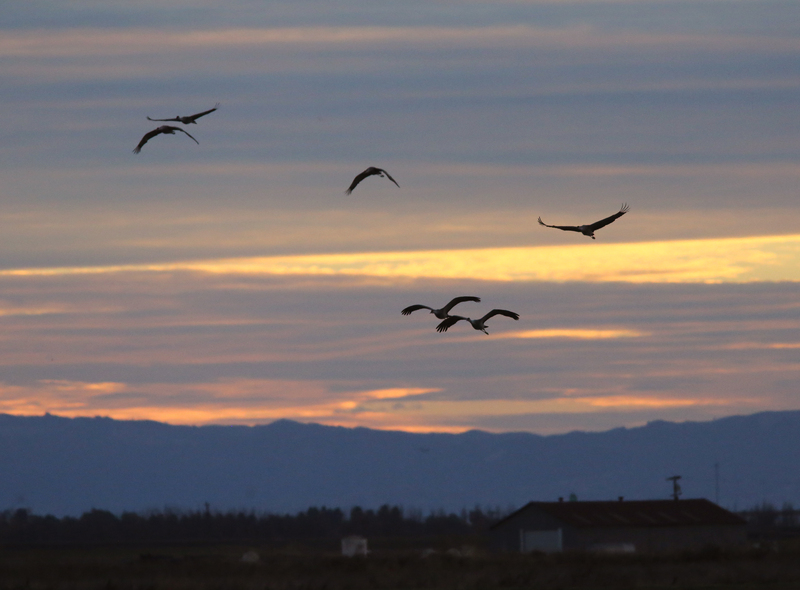 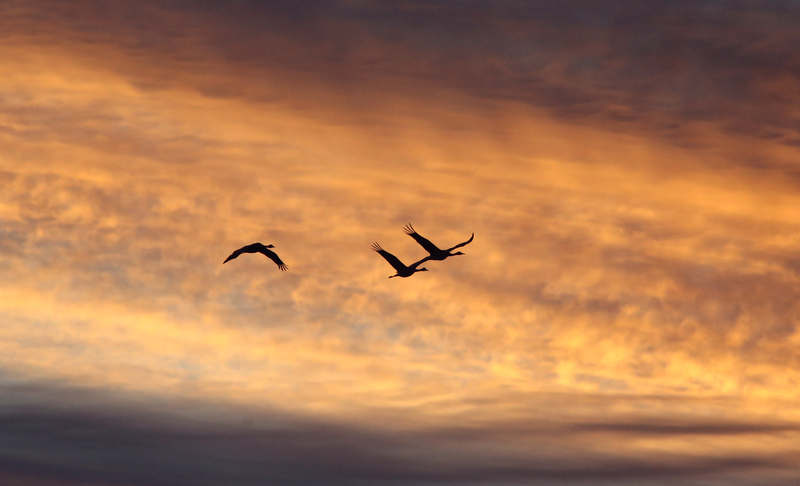 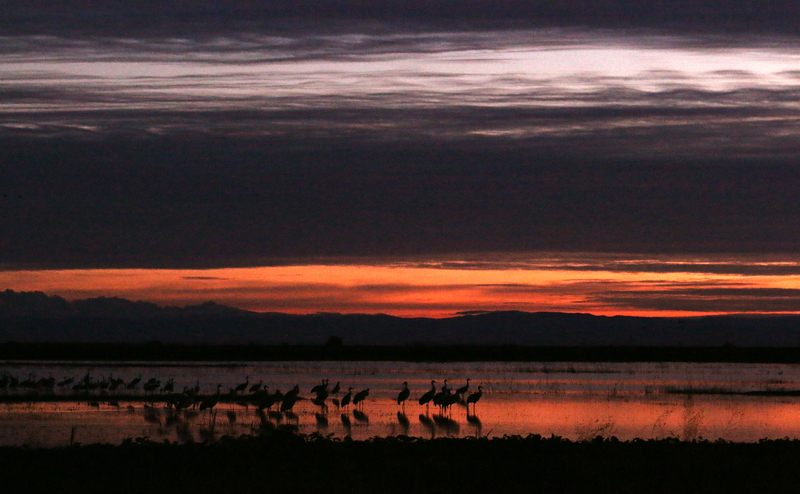 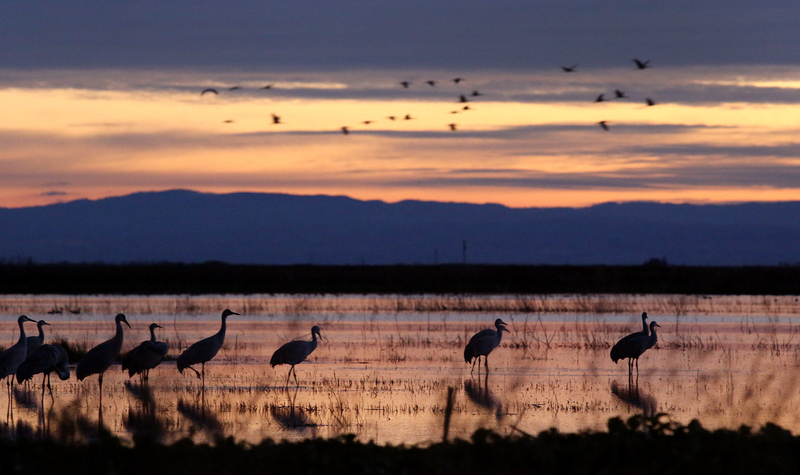 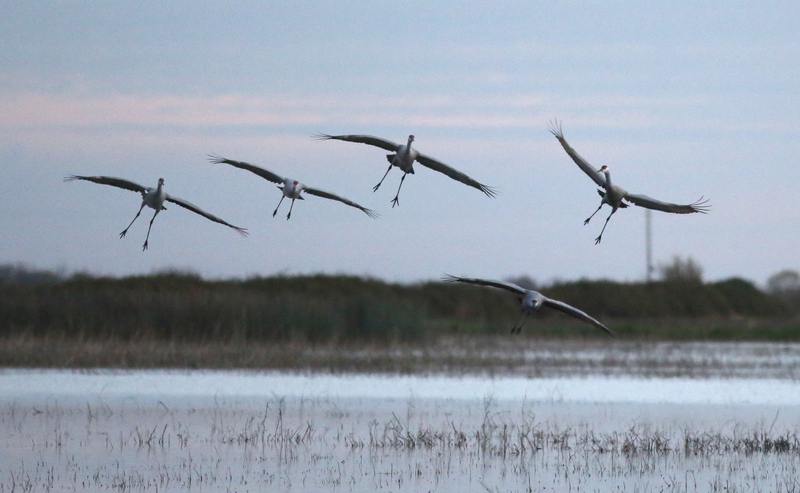 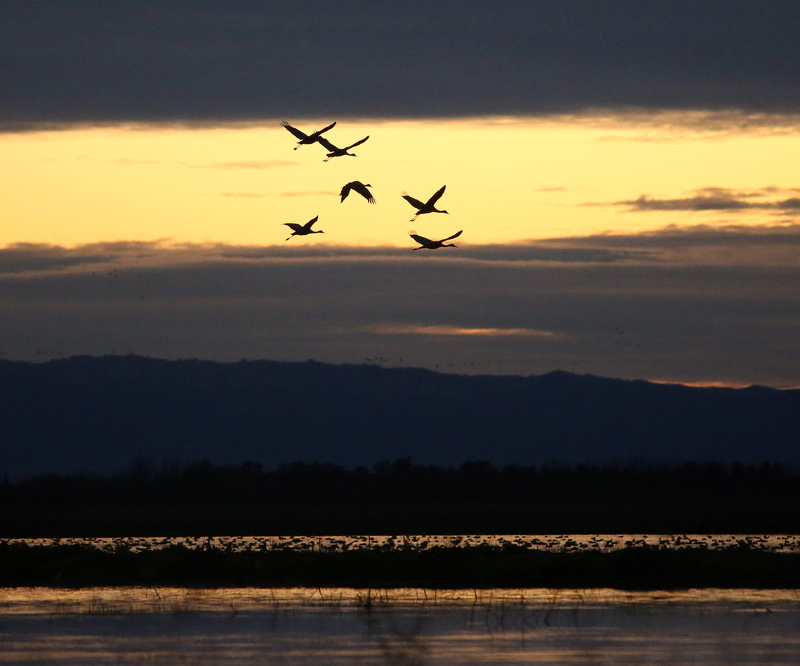 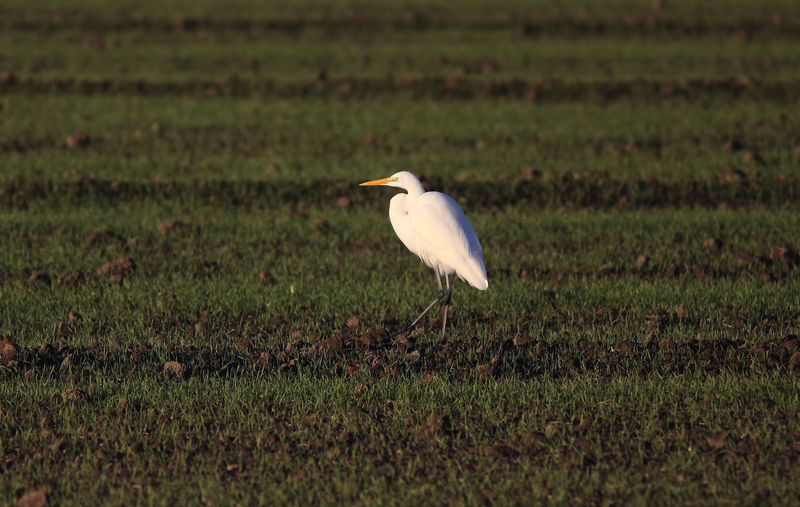 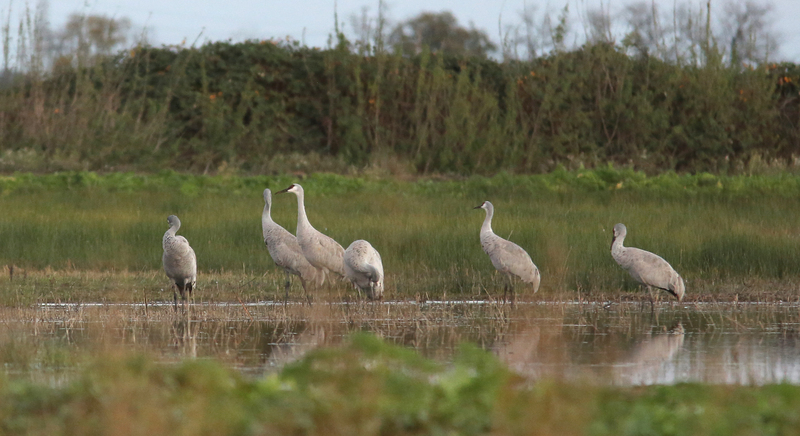 As the sun sunk lower the cranes arrived in waves, settling to the rear of the wetlands. 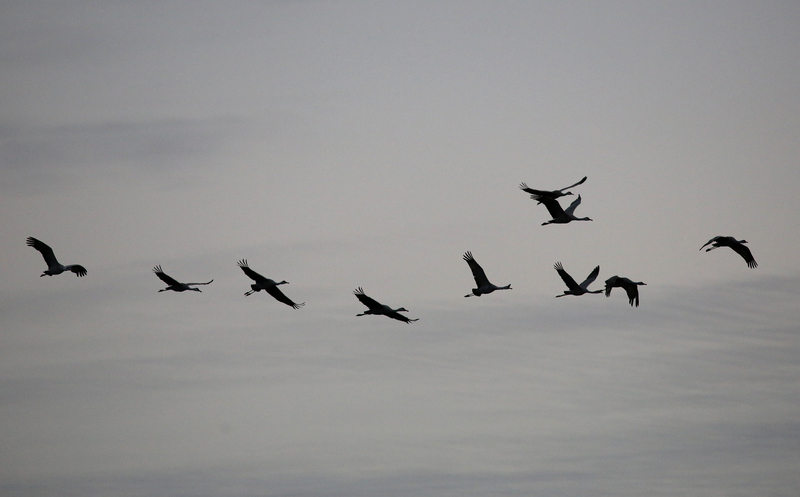 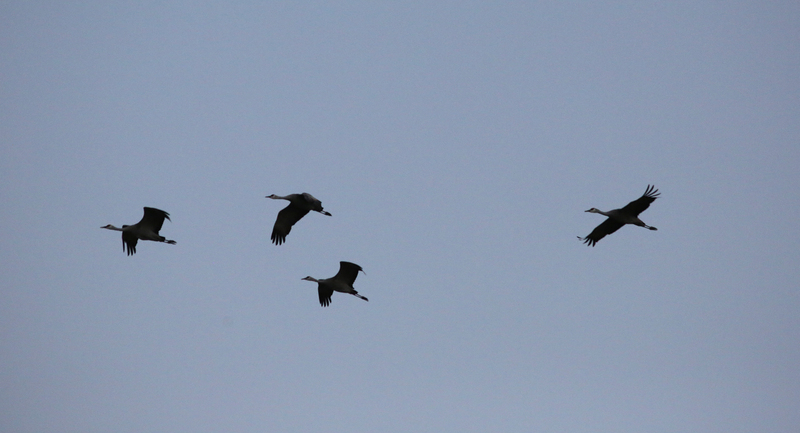 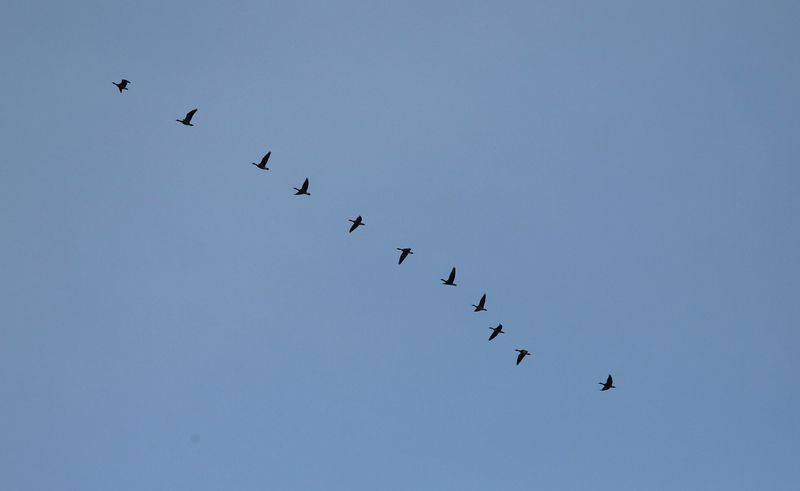 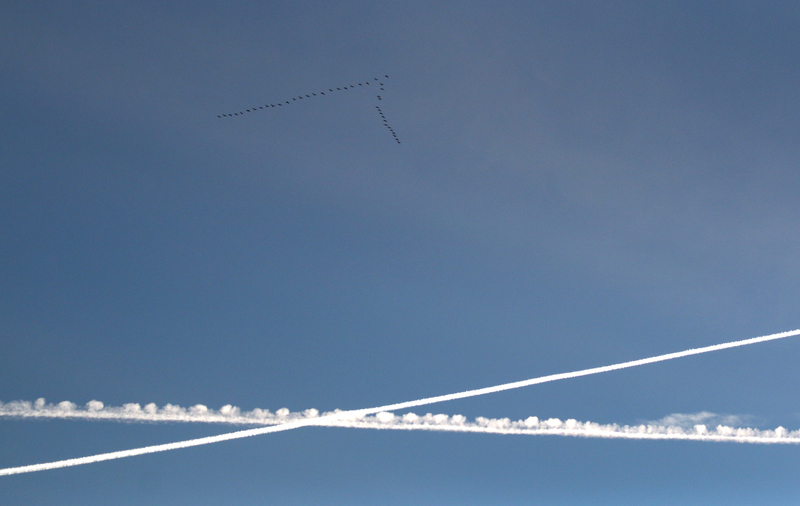 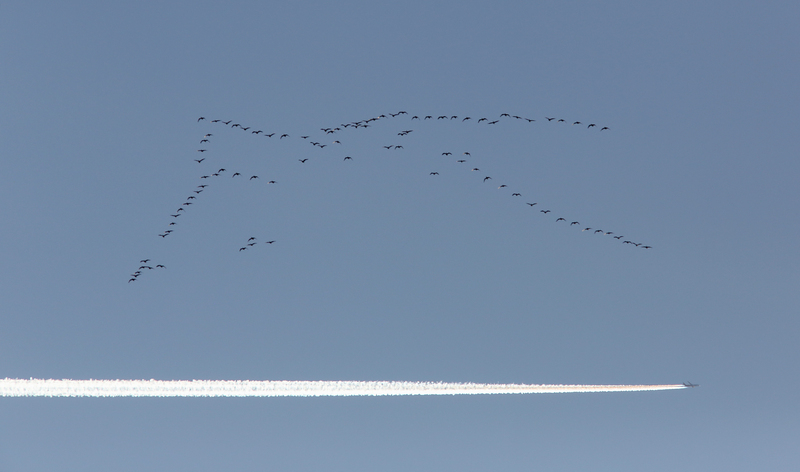 Lines of cranes moved across the fading light looking for their evening roost. 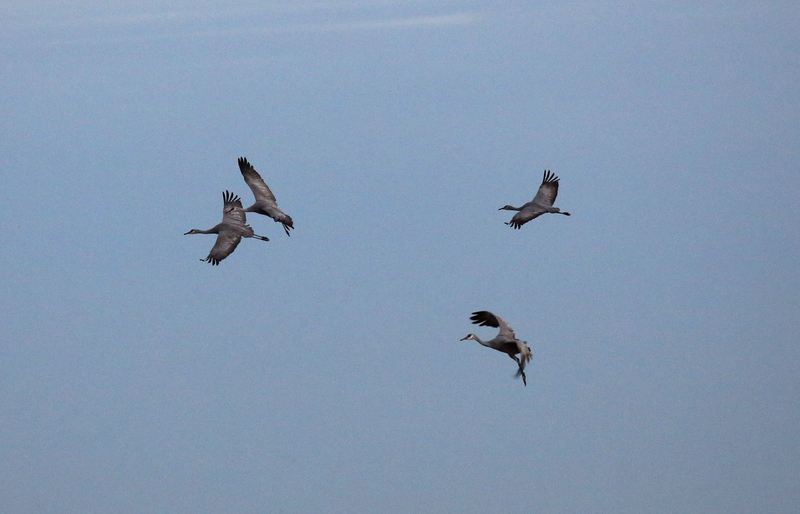 The last light fell with a fiery cast as the final cranes swooped into their places in the water. 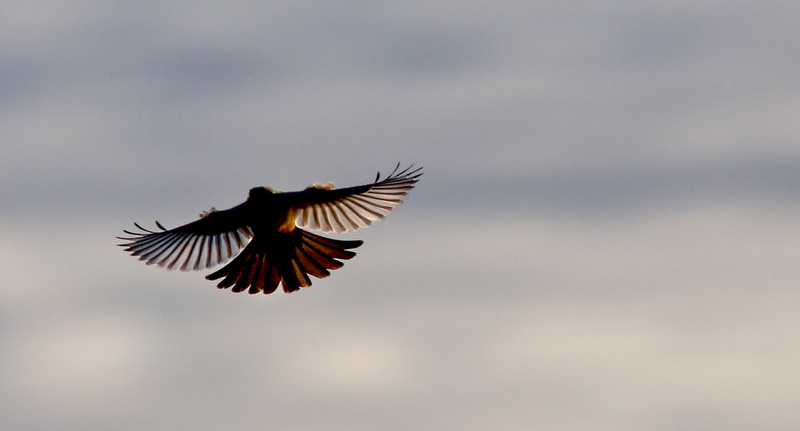 With the winter weather upon us my time at Isenberg. 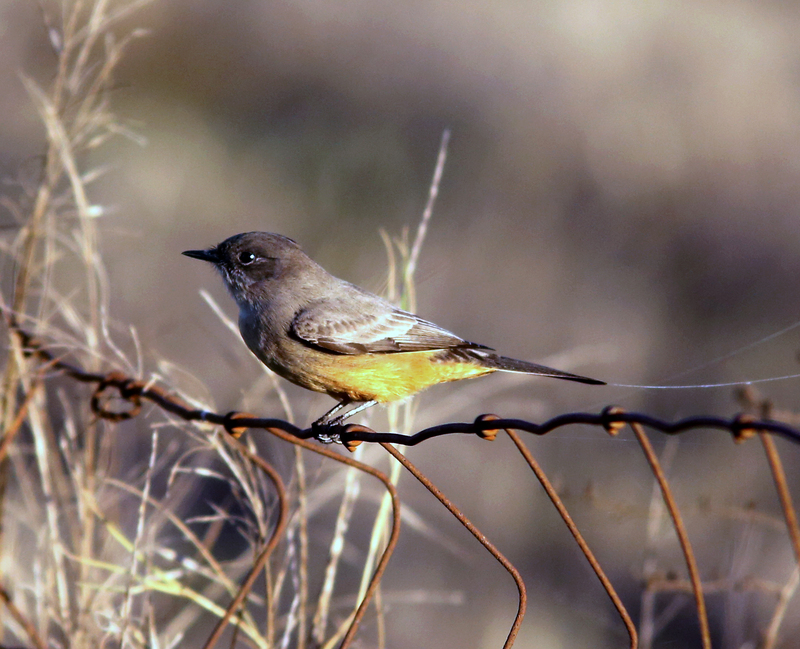 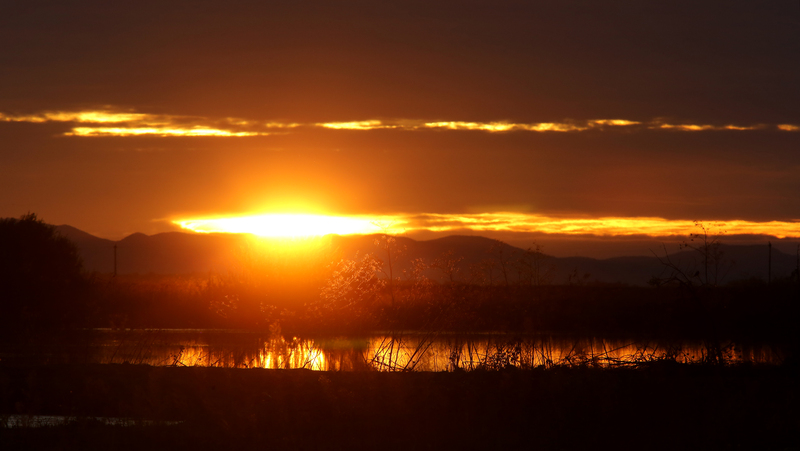 I’m hoping for at least one more sunrise trip to on my tenth year of visiting the wetlands.